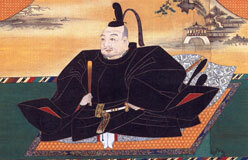 The samurai were famous for their fighting skills, bravery, and loyalty to their daimyo. 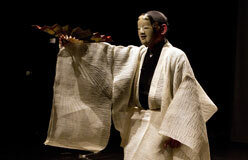 They followed a strict code of conduct called Bushido, or the code of the warrior. 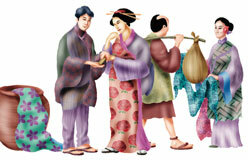 It had rules for almost everything in daily life. 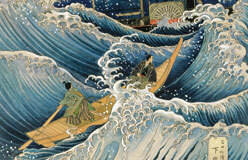 Samurai had to face danger and even death without fear. 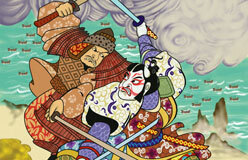 A samurai who showed fear in battle by fleeing or surrendering was expected to kill himself to erase the shame of defeat. That practice is called hara-kiri or seppuku. 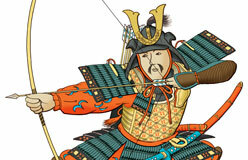 But samurai were not just fighters. They also learned the proper way to walk, bow, and hold chopsticks. During peaceful times, many wrote poetry. 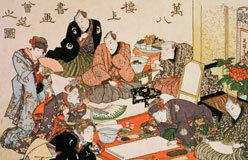 They worked on their flower arranging and calligraphy, or spent hours looking at the Moon or cherry blossoms.